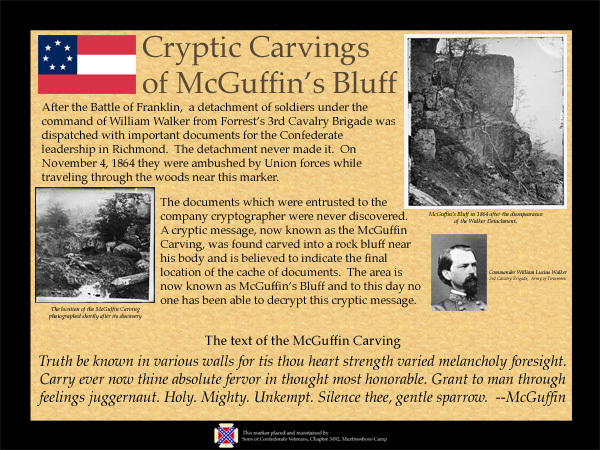 The mystery of the carvings at McGuffin's Bluff is one of the more interesting local tales of the Civil War. Unfortunately, the actual McGuffin's Bluff location is off-limits so I cannot tell you how to get there, but I can lead you on a seriously demented quest to discover the secrets of the Bluff and if you are lucky you may even solve the mystery and discover the final resting place of the Pentia. But first you better get to working on finding the lieutenant's cryptography tools, I am sure they are on this cache paghe somewhere. While you are poking around you will probably want to take every opportunity you can to learn more about McGuffin's Bluff. There, that should keep you busy for a while. 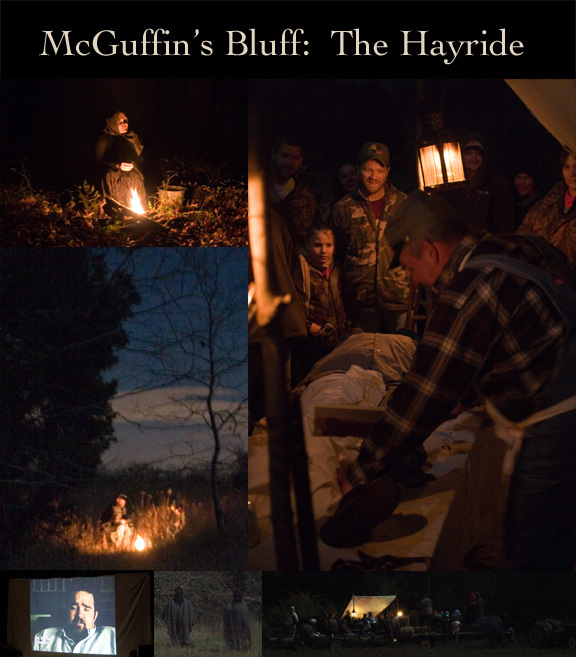 Since we started on this project, I have been trying to learn more about the circumstances that led to the events at mcGuffin's Bluff. 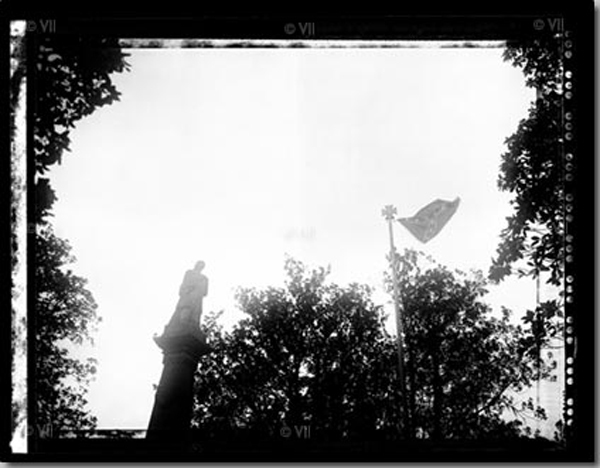 In my travels, visiting the sites, I got over to the little park maintained by the Sons of Confederate Veterans near the bluff. They have installed a fancy board giving some of the history and the actual text of the carving. 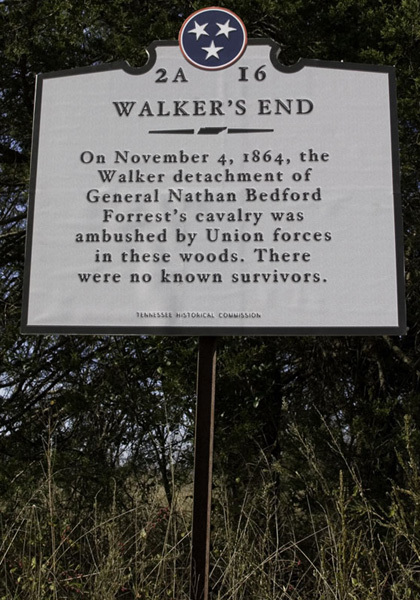 On the way over I also noticed that someone finally put a marker up in the woods where the ambush occurred, so I thought I might as well snap a picture of it and include it as well. i don't know how helpful those will be, but I thought they were interesting and they might save you a drive out to check out the area. Seth and Robert also let me know that Ken Burns touched lightly on this subject in his incredible documentary "The Civil War". Seth found a link to the video so I figured I might as well include it too. If you have not watched this incredible documentary, you really should. 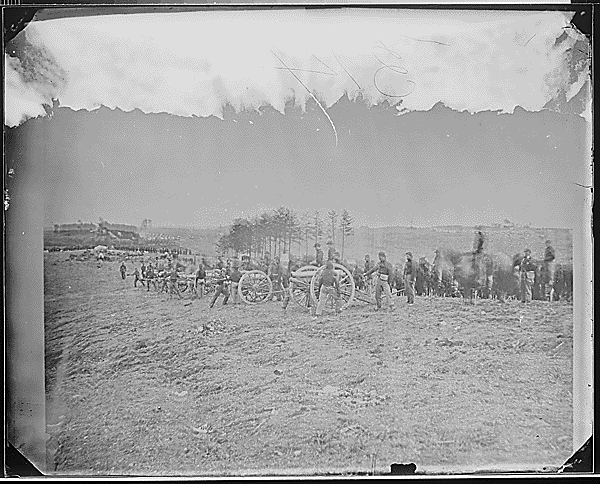 Ken Burns does an incredible job of making the history of the war come to life and makes it relevant for modern audiences, using what has become his signature style. 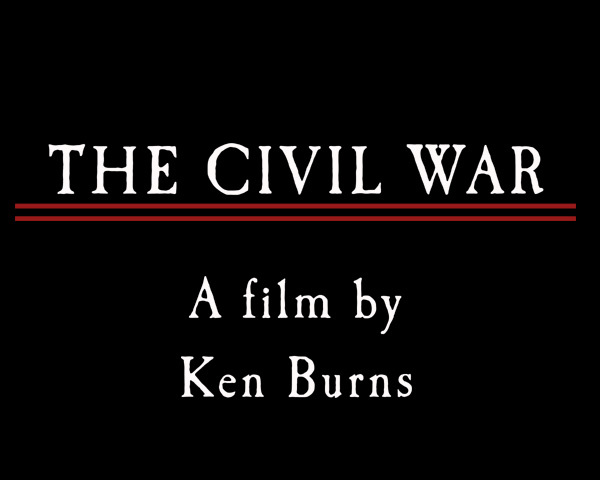 All of his documentaries are worth watching, but "The Civil War" is still his best work, in my opinion. I think that is about all. I am still researching this myself, so as I learn more I may continue to add things to this page, but for now you have everything you need to solve the mystery, plus a bunch of extra stuff to check out. I hope you enjoy! One last thing, this really has nothing to do with solving the cache, but I thought I would include a collage of images from the "interactive" version of this cache that was presented as part of a hayride at our 4th Annual Haunted Hayride and Caching Cookout. Several folks put a lot of work into making the interactive version of this cache a huge success, so I wanted you to see their handiwork. I should also point out that the folks on the hayride had to work all of these codes out for themselves in order to find the cache at the end of the ride, the ghosts may have helped to push them in the right direction a couple of times, but they had to do the work and they did a fine job.